An application that displays useful data on your screeneven when it's OFF! and many other widgets will be added soon..
No Ads : No annoying ads even without in-app purchases. Two-Step : This method saves a lot of battery energy alongside quick access to many features by just one tap! Built-in Themes : Tens of stylish themesdesigned for many tastes. Customizable Widgets : Customize any font style color size and animation. Unlock Button Icons : Hundreds of minimal icons for unlock button. Anti Burn-In Filter : An innovative method to prevent screen damage without moving widgets! Notifications : With built-in blacklist and new look you've never experienced. Fast Charge & Power Saving : Temporarily minimize power consumption using battery widget. Media Control : Control your music player even when screen turned off. • To operate the app at least one 'Security lock method' or 'Swipe' must be set to wake up device. • To blacklist a notification drag it to leftmost screen and hold 4 seconds. • To switch between 'Weather/Forecast' or 'Currency/Wallet/Mining' just swipe your finger to left/right on related widget. This application does not have any binary for mining. And it only reports your miners statistics Like Hash-rate. Join this community for discussion sharing thoughts and reporting bugs or problems. If you encounter any bug in this application please report it to me instead of bad feedbackI will fix it soon.Thanks. 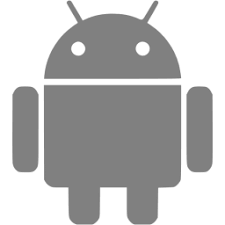 ⁶ Require Android 5.0 (Lollipop) or Higher. DRAW OVER OTHER APPS : This license is very necessary for the application to function. Because the program's operation depends on this. MODIFY SYSTEM SETTINGS : This app will consume a lot of battery without lowering the light. With this access it can light up and down. LOCATION : Weather and Forecast need this to find your city. NOTIFICATIONS : This is optional too. If you want to see the notifications widget you must give this permission. (REMOVED) CAMERA : This permission is required to turn on the flashlight from the dashboard. Unused features and codes has been removed.